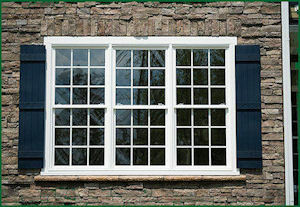 Beautiful, energy efficient, maintenance free vinyl windows add style and elegance to your home. Windows more than any other element, give you the opportunity to set the style and personality of your home. That’s why we offer a wide array of affordable window styles and designs that let you stay within your budget. Not only do we repair Doors and Windows but we will replace your old doors and windows with only the best quality product on the market today. 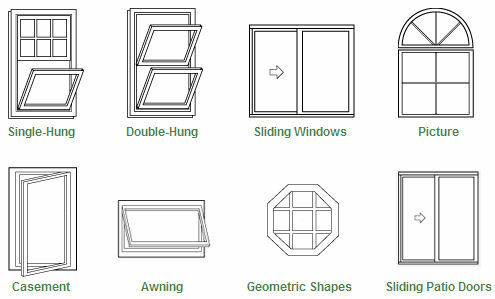 With a product offering including several types of window styles including, single-hung, double hung, slider, casement, picture, and geometric windows you can be confident you've selected superior windows that will perform throughout the life of the product. Whatever design you choose, you can be sure you will get high quality, durable windows that add comfort and beauty to your home now and for years to come.We feature Burris Windows whose products are made to fit precisely, our strong, secure windows offer optimum energy efficiency and easy cleaning features with tilt-in sashes. Double wall Multi-chambered profiles for strength and insulation and less roll. Long reach interlock means less air infiltration and added security for the home. Sill design sheds water with industry leading performance .Convenient tilt-in operable sash makes cleaning the glass simple. Passes forced entry test - Front load coped glazing bead with Dual weather stripping. Welded vinyl frame provides superior strength .Insulated glazing delivers industry leading thermal performance. Equal glass - ¾" overall thickness double strength argon filled insulated glass unit delivers industry leading thermal performance. Pleasing exterior bevel with integrated weep system. Convenient take-out operable sash makes cleaning the glass simple. Double wall Multi-chambered frame for strength and insulation performance. ¾" overall thickness double strength argon filled insulated glass unit delivers industry leading thermal performance. Welded frame provides superior strength. Insulated glazing delivers industry leading thermal performance. All welded frame & sash. Stainless steel adjustable tandem rollers, lock and striker. Clay, Tan, and White hardware finish. AAMA approved PVC lineal certification. 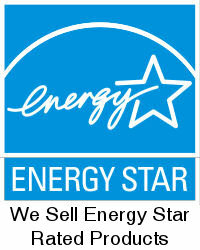 We only sell and install quality name brand, energy efficient products. We will provide quality and performance at competitive prices. We are dedicated to building lasting relationships with all our customers. 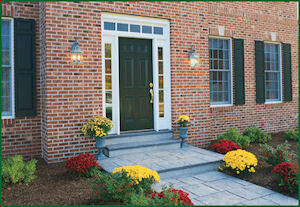 Remember we are experts in residential window installation, replacement and repairs. We also specialize in commerical storefronts. Open Monday through Friday 8am -5pm, 24 Hour Emergency Service Available! Windows and More is the one to call in Dallas, Fort Worth and surrounding area for window replacement, broken glass repair, home door repairs, window repairs, foggy window repairs, window solar screens, energy efficient windows and general service on all of your home windows and doors, including commercial. Links to Window sites for product and warranty information.